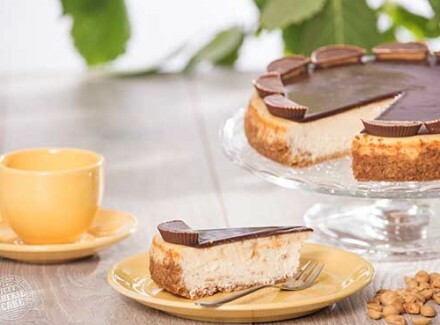 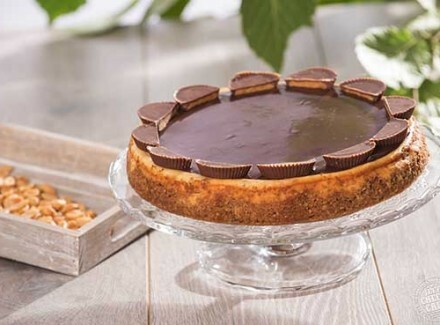 If you love peanut butter like I do, you will think that you have arrived heaven after tasting this peanut butter cheesecake, topped with chocolate and surrounded by Reese’s® Peanut Butter Cups. 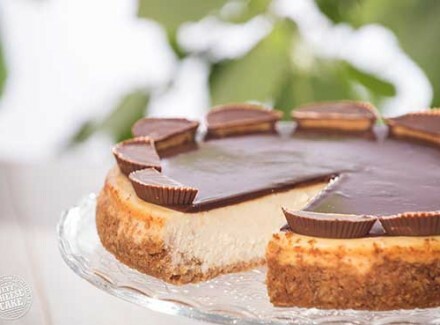 For you Peanut Butter lovers everywhere! 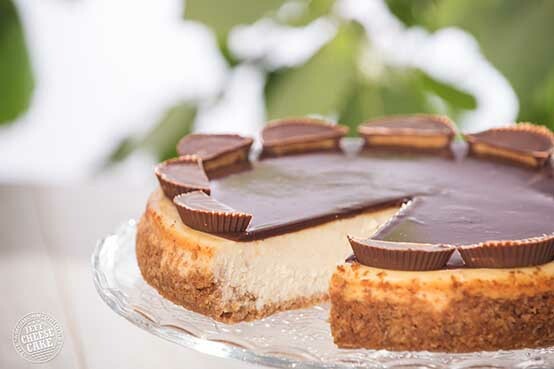 Available with or without chocolate glaze and/or Reese’s® Peanut Butter Cups.